Ultherapy is a non-invasive, non-surgical procedure, designed to lift skin on the neck, under the chin, on the eyebrow and to improve décolletage lines and neck wrinkles. Using ultrasound energy, which has been used in the medical field for more than 50 years, is used as an alternative to laser skin rejuvenation or for non-surgical facelifts. This ultrasound therapy triggers a natural response under the skin, jump-starting the regenerative process that boosts collagen production improving the appearance of the skin. In addition to fresh collagen, the imaging technology of Ultherapy facial skin tightening allows the practitioner to view and treat the layers of skin that will benefit the most from the treatment. 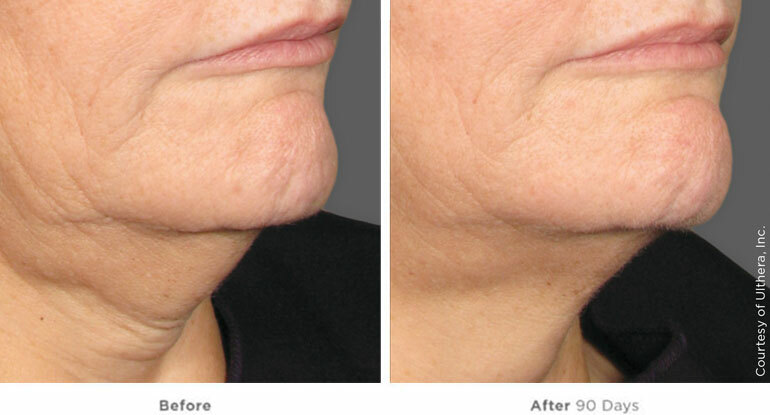 It has also been cleared by the FDA for use on fine lines and wrinkles on the decolletage and neck. 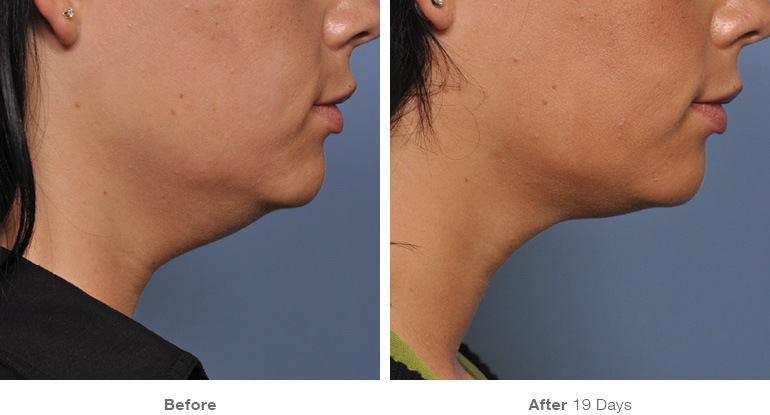 By delivering ultrasound energy on the skin surface, at the right depth and temperature, it is a perfect alternative to those not ready for surgery or an option for those wanting to extend the effects of cosmetic surgery with little or no downtime. A more youthful look can be achieved from your brow to your chest, without disrupting the surface of the skin. 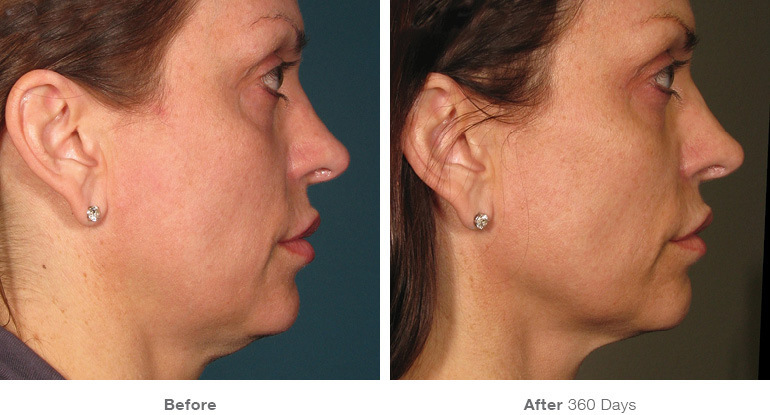 Ultherapy facial skin tightening stimulates collagen growth in the skin tissue at three different layers. Ultherapy is performed in our state of the art office, and takes approximately one to two hours. You will first schedule a consultation with our Ultherapy Practitioner, addressing your concerns, assessing your skin and determining if you are a candidate for the treatment. Once your procedure is scheduled, there are no preparations or skincare regimens required before your appointment. An ultrasound gel is applied to the skin and a smooth treatment applicator will be used against the skin. The applicator allows the practitioner to see deep within the skin to determine theideal placement of the treatment energy, also delivering the focused energy beneath the skin’s surface. Moving within the treatment areas the applicator is shifted in a pattern across the face, releasing the ultrasound energy in 3-5 second intervals. During treatment, you will feel small amounts of energy being delivered at specific depths, signifying the collagen-building process has been initiated. Sensation levels vary from person to person and will last only while the energy is being delivered. There is no downtime after your treatment. You can resume normal daily activities immediately with no special requirements. There may be slight redness or swelling after treatment, that should resolve within a few hours. Tingling and tenderness to the touch may occur, these are usually mild and temporary. Less common post-procedural effects may include temporary bruising, numbness in small areas up to a few days following procedure. We will be available to answer any questions or concerns you have after your Ultherapy treatment. Erika, 47, Travel Consultant, noticing the early signs of aging.